The best services at the fairest price! Wash every day for one low, monthly price! Wash as often as you want. Plan may be cancelled at any time for any reason. Simply visit the location where you purchased your unlimited wash plan at least seven (7) days before you recharge and all future charges will be stopped. Members credit/debit car is automatically charged monthly. 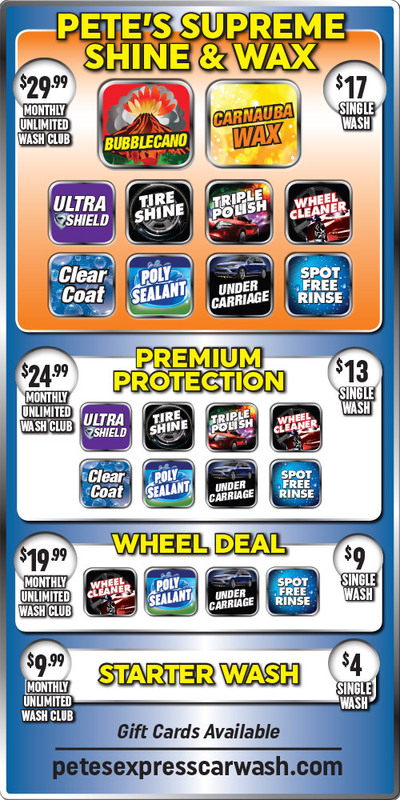 This Unlimited Wash Club Plan Applies to one vehicle of your choice (we will apply a Wash Club Tag to your windshield). Good at any of our locations. MUST PURCHASE AT ONE OF OUR FOUR LOCATIONS. We will update this page with any updates or changes to the monthly unlimited wash club plan. Please note that this information may change at any time for any reason, and you should visit one of our four local branches during regular business hours for the most up-to-date information regarding current practices, policies, and procedures. THANK YOU! 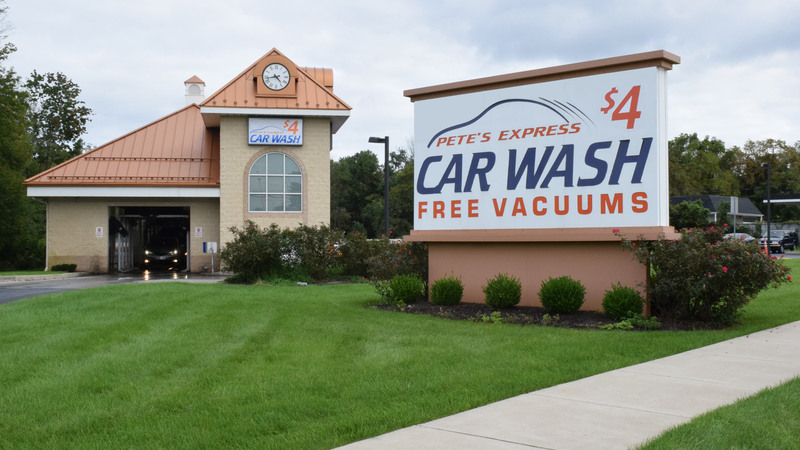 © 2019 Copyright Pete's Express Car Wash.